Rainbow Worrier was a kitchen exclusive bath bomb that I ordered because I loved the name. 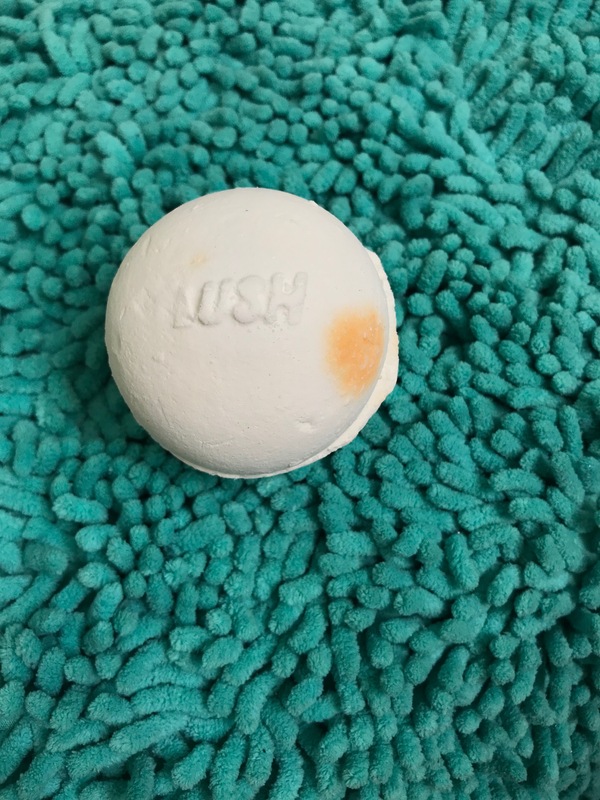 Since I didn’t want to use my Lush stuff, it made its way into my tub of bath products, where it sat for ten whole months. That’s awful. Since I’ve been trying to go through my stuff, I decided it was finally time, and I drew myself a bath. With Rainbow in the name, I expected this to be a bit of a wild ride. Nope! It’s a white bath with a single pop of color at the end. The color is a mystery, since there are three different ones it could be. I got yellow (of course, because I hate yellow baths) but it actually didn’t touch the color of the water at all. There was also a bit of paper in it, that read “Forwarned is forearmed.” Cryptic, right? I thought this was a surprise tiny wash card and rubbed it on my shoulders until I realized it was just paper. Oops. My favorite thing about this bath, was that it was white. I always see photos of folks in white baths (I feel like it has to be milk), and they look so beautiful and luxurious. This white bath made me feel the same way. I felt so fancy and soothed. But if I see a white bath, I assume it’s a clean linen scent. Not Rainbow Worrier! This was a beautifully earthy scent, and it made me feel so relaxed and at peace. I need that at the end of a long week. Ya know? The bottom line is, if this were a regular product, or even available from the revamped kitchen, I would buy it. It’s gorgeous and fun, smells beautiful, and feels luxurious af. If you can get your hands on this, do it.